WE SELL SOUTHERN NEW MEXICO! United Country - Properties provides real estate services throughout the entire Tularosa Basin and Sacramento Mountains of southern New Mexico. We list, sell and auction properties in Alamogordo, Bent, Cloudcroft, Dog Canyon, High Rolls, La Luz, Laborcita Canyon, Mayhill, Mountain Park, Pinon, Sacramento, Timberon, Tularosa, and Weed. We're here to serve all your real estate needs: homes, mountain cabins, rural property, recreational property, farms and ranches, orchards and vineyards, horse property and commercial property. If you want to buy or sell city or country real estate, make United Country - Properties your first choice for honest, ethical and professional real estate services. United Country – Properties is the premier seller of mountain, recreational and destination real estate in the Tularosa Basin and the Sacramento Mountains. Our experienced, knowledgeable and professional real estate agents are ready to help you find just the right property to fit your needs, and to help you achieve top dollar on your real estate sales. If you’re buying or selling real estate in Alamogordo, Bent, Cloudcroft, Dog Canyon, High Rolls, La Luz, Laborcita Canyon, Mayhill, Mountain Park, Pinon, Sacramento, Timberon, Tularosa, or Weed, give us a call and let us tell you about our unique blend of real estate experience and world-class real estate marketing. 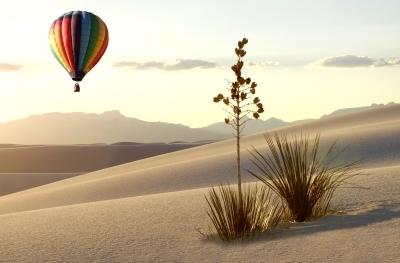 Mountain, desert and in between, we sell Southern New Mexico! Before joining our team, our real estate professionals enjoyed successful professional careers in widely varying fields such as health care, advertising and marketing, customer service, and engineering. By blending those experiences, we're able to bring unique views and skills to the real estate profession. And we are proud to count the tremendous staff at United Country's home office as members of our team, too! 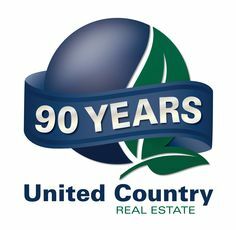 United Country is the only national real estate franchise system specializing in lifestyle properties; small city and town residential, second home, recreational, ranch, retirement, farm, investment and commercial. With a heritage that dates back to 1925 and extensive, unique franchisee member services, the company supports nearly 500 offices across the U.S.. United Country has a unique and proven marketing and technology program, including a large national database of buyers and sellers, custom catalogs, company, specialty, office and agent websites, automated marketing, CRM, national advertising, direct mail, public relations, signage and more. It currently operates the leading real estate Web site in the country real estate market, www.unitedcountry.com, attracting approximately 950,000 visitors a month to a national database of thousands of properties. All the fully integrated United Country websites realize over 2.5 million visitors per month. United Country also reaches more than 90 million homes a week through its national advertising of franchisee-listed properties in various local, regional and national print media outlets. The company has been named as a top Franchise by the Wall Street Journal, Entrepreneur Magazine’s Franchise 500, The Land Report and in many other franchise evaluations. United Country has also innovated traditional real estate with integration of United Country Auction Services, becoming the nation’s largest integrated network of real estate professionals and auctioneers.